Christopher Baker has spent the last seventeen years in the private service staffing business -- first as a national recruiter and account executive for the nation's foremost retained search firm specializing in private service for high net-worth families and their offices; and since 2004, at the helm of his own Los Angeles-based company, Christopher Baker Staffing. 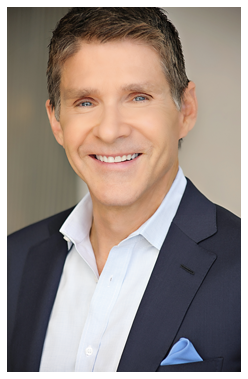 Chris has successfully placed Estate and House Managers, Major Domos, Butlers, Chefs/Cooks, Housekeepers/Housemen, Drivers, Family Assistants/Mother's Helpers, Property/Maintenance Managers, Caretakers, Personal/Executive Assistants, Aide-de-Camps, Directors of Security and Family Office/Family Foundation Directors in markets around the country including Los Angeles, San Francisco, San Diego, Santa Barbara, Aspen, Las Vegas, Phoenix, Chicago, New York City, the Hamptons, Westchester County, Greenwich, Boston, Cape Cod and Islands, Northern Virginia, Atlanta, Naples, Palm Beach and Nassau. Christopher Baker Staffing enjoys a reputation of providing personalized and discreet staffing primarily on a contingency basis. Background checks on candidates (professional and personal references, driving, credit, crime, civil and education, etc.) are conducted in-house. Prior to starting in the search business, Chris produced not-for-profit special events in Los Angeles and New York; worked as an executive assistant to a prominent film producer; was an account executive at a New York advertising agency; and worked as a New York-based talent agent for a Japanese entertainment company.